The bestselling author of The Dinosaur That Pooped series has once again paired up with illustrator Greg Abbott to create another creature that readers will fall in love with--and want to play with--again and again! Tom Fletcher has a huge social-media presence with over a million followers on Twitter, Instagram, and YouTube. His videos "Buzz and the Dandelions" and "My Wedding Speech" went viral and have been viewed tens of millions of times all over the world. TOM FLETCHER is an award-winning songwriter as well as a children's author, YouTube star, daddy, and McFly band member. He has a huge social-media presence, and his viral videos have been featured on Good Morning America. He and Greg Abbott are the creators of There's a Monster in Your Book. Tom is married to the author Giovanna Fletcher, and they have two children. Follow him on Instagram and Twitter at @TomFletcher and on YouTube at youtube.com/user/tommcflytwitter. GREG ABBOTT is an illustrator and graphic designer. 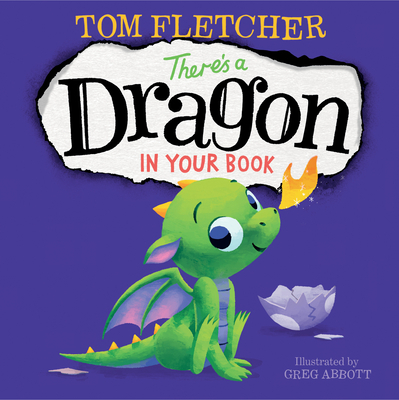 He created the adorable illustrations for There's a Monster in Your Book, the companion to There's a Dragon in Your Book. In addition to children's books, Greg has created apparel, prints, toys, greeting cards, and other merchandise. He lives in West Sussex, England.